Embezzlement is theft of property, money or goods entrusted to a person’s care by virtue of his employment. Depending on the value of the subject property, the embezzlement can be a felony charge. If the property is of lesser value, the charge is misdemeanor embezzlement. 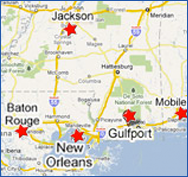 Mississippi has several embezzlement laws, all aimed at protecting the public and business owners from employee theft. Public officers and employees, as well as bank trustees, and other persons of public trust have a special and higher duty to the public they serve. Accordingly, if a public officer, employee, or trustee steals trust money the penalty can be severe. There is no statute of limitations on embezzlement prosecutions. False pretense means obtaining a signature or thing of value by using a false document or other writing. The essential element of false pretense is using a document or other tangible writing to commit the fraud. If the value of the money or personal property obtained is large, the false pretense can be a felony. If the value is lesser, the false pretense can be a misdemeanor. False pretense has evolved to include protections for ATM machines, credit cards and checks. Thus anyone who defrauds a cardholder, issuer, bank, ATM machine, or merchant by use of a fraudulent credit or debit card, can be charged with a felony. In Mississippi it is a felony to obtain money, goods, property or services by defrauding a card holder, issuer, bank or merchant. Whether a debit or credit card is forged, stolen, or used without permission of the card holder, the result is the same. Alteration or use of a counterfeit credit or debit card, including the card’s magnetic strip or any other access device is credit card fraud. Writing a bad check can be charged as a felony. Although a defendant is always presumed innocent, if the check was returned NSF (insufficient funds) or account closed, there is a legal presumption that the maker or drawer intended to commit fraud. The bad check law also provides for prosecution of dishonored casino markers. A person or business with a returned check or casino marker can pursue collection through the District Attorney’s worthless check division. If the check writer does not repay the check or casino marker, the District Attorney can present the check or casino marker to the grand jury for prosecution and indictment under the felony bad check law. Malicious mischief (vandalism) is now a felony in Mississippi. A person who destroys, disfigures, or injures valuable property can be charged with a felony. Vandalism of less valuable property can be charged as a misdemeanor. Further, anyone who encourages directly or indirectly any act of vandalism is an accessory before the fact and punished as a principal. Looting is prosecuted after a hurricane or other natural disaster. During the disaster, regardless of whether a curfew is in effect, a person who enters a home, dwelling, commercial building or business and removes property can be indicted for felony looting. Receiving or possessing stolen property by someone who knows or has reasonable grounds to believe it was stolen is a felony. The charge of receiving stolen property also includes retaining or disposing or stolen property. In Mississippi, a person generally cannot be charged with stealing (larceny) and receiving the same property. If the value of the stolen property is great, then receiving or possessing stolen property is a felony. If the value of the stolen property is lesser, then the charge is a misdemeanor. The law of receiving stolen property has recently been expanded to apply to scrap metal dealers. Stricter licensing, registration, record keeping requirements, and background checks are aimed at reducing theft of copper, aluminum and other scrap metals. A chop shop is a garage where stolen cars are dismantled so their parts can be sold. Stolen cars can have their VIN numbers altered and be resold with forged titles. In Mississippi, a vehicle that is totaled (“total loss claim”), salvaged, rebuilt, flood damaged, or hail damaged must have a “branded title.” Chop shops alter the VIN numbers and titles, transport vehicles to neighboring states with less restrictive titling laws, and otherwise misrepresent the history of parts and entire vehicles. Operating a chop shop is a felony in Mississippi. Trespass is a misdemeanor. Trespass can be a lesser included offense to many felony charges. There are several misdemeanor trespass laws in Mississippi. Some carry a fine, while others can carry a misdemeanor sentence in the county jail. If it is available, the reduced charge of trespass less than larceny can be an alternative to a felony charge. Stealing someone’s personal information for financial gain has become easier in the modern computer age. Computer viruses, hacking and phishing all target personal financial information. Mississippi’s identity theft law prohibits unauthorized use of personal identifying information to obtain credit, purchase or lease real estate or personal property, gain employment, obtain medical records or commit any illegal act. The charge of identity theft can be a felony or misdemeanor depending on the loss amount. Mark Twain wrote “Put all you eggs in one basket and watch that basket” over 100 years ago. Computers hold all our data in one basket providing efficient use of data and an attractive target for cyber criminals mining data for illegal gain. In Mississippi, the charge of felony computer fraud includes accessing a computer with intent to obtain money, property, services or to defraud. Computer fraud also includes denial of access to users, unauthorized disclosure of passwords or access codes, and using a computer virus to mine data or damage data integrity. Computer fraud can be indicted as a felony or charged as a misdemeanor depending on the value of the loss. In the recent past, counterfeiting was difficult and required highly skilled engravers. In the digital age computers and scanners make it easier to counterfeit money and documents. Counterfeit currency, documents, and checks appear routinely at Mississippi casinos and banks. Modern security features imbedded in currency deter counterfeiting. Investigators aggressively pursue charges of counterfeiting. Closely related is the charge of uttering counterfeit instrument. Uttering means presenting or placing into circulation or passing counterfeit money or documents with intent to deceive. Mississippi’s casinos, banks and merchants are alert for counterfeit money and credit cards as well as forged checks. The charge of counterfeiting, possession of counterfeit money, or uttering counterfeit is the same. Counterfeiting can be charged as a felony or misdemeanor. All that glitters is not gold. Forgery may be creative but it is illegal. A forged document is created to cheat another out of money or valuable property. Forgery is a form of theft. Forgery means altering a document with intent to cheat or defraud another. Common types of forgery include signing someone else’s name to a document, and falsifying or altering a document. Forgery most commonly involves an altered check or financial instrument. Forgery can also include deeds, wills, securities and all other documents. Uttering forgery means presenting or passing the forged document as genuine with intent to deceive. The punishment for forgery and uttering forgery is the same. Forgery and uttering forgery can be charged as a felony or misdemeanor. Every case is different. Defenses are fact specific. The best Mississippi defense attorneys will give your case individual attention. If you are being investigated or have been arrested for a property crime, call the law office of Rufus Alldredge today at 228.863.0123. We are located at 1921 22nd Avenue in Gulfport, Mississippi.